when I first started blogging, back in 2011, I did article updates once in a while by writing about my new favourite foods and snacks. And since I recently fell head over heels on Ramen Noodles I decided that it was time for an article. I also feel like a lot of ramen noodles bars are popping up all over the place and that this is becoming a new trend around here, which I don't mind because I LOVE Ramen Noodles. The latest Ramen noodles I have had was last Saturday at Momiji Ramen, a Ramen Noodles bar that opened that week. They don't have an actual website only a facebook page so I can't exactly tell you what I got. I ordered the pork ramen noodles because I wanted to play it save. 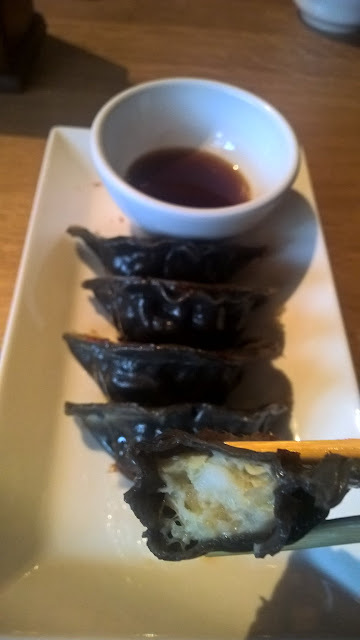 As side dish, yes they recommend a side dish and after that day I do to, I ordered the Gyoza with squid and shrimp. Normally they match the Gyoza with the flavour of the Ramen Noodles but love shrimp more than pork. I highly recommend to give the combination of Gyoza and Ramen Noodles a try because it's so delicious and I definitely get why they recommend them together. 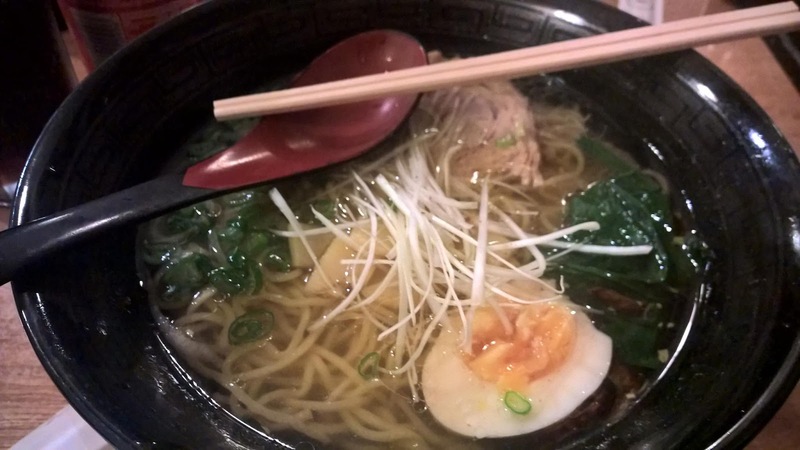 Another Ramen Noodles restaurant I recently went to is Hinoki. This was the third Ramen Noodles restaurant I went to in my life. They have a wide range of soups and dishes. 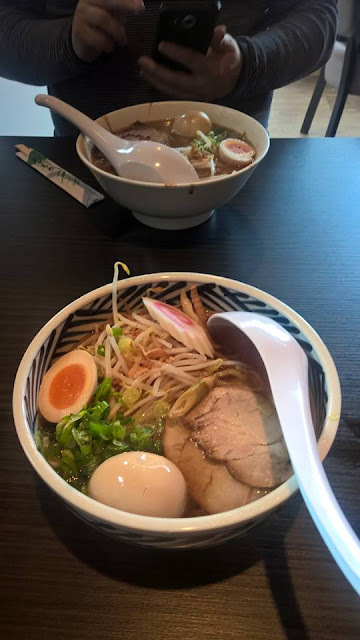 I went for the Traditional Tokyo shoyu Ramen with cha siu, soft boiled egg and narutomaki. I ordered some extra Ramen and hard boiled egg. I don't know if you can tell from the photo but this is one of the biggest bowls of Ramen Noodles I have ever had, I was so full when I finished it. Still the best decision I ever made. The second Ramen Noodles restaurant I have ever been to was when I recently visited London. The restaurant is near Piccadilly Circus and is named Ittenbari. This restaurant is very small and we found it by accident. I went for the Ittenbari Shio Ramen, which is a special combination you can only eat in this restaurant. 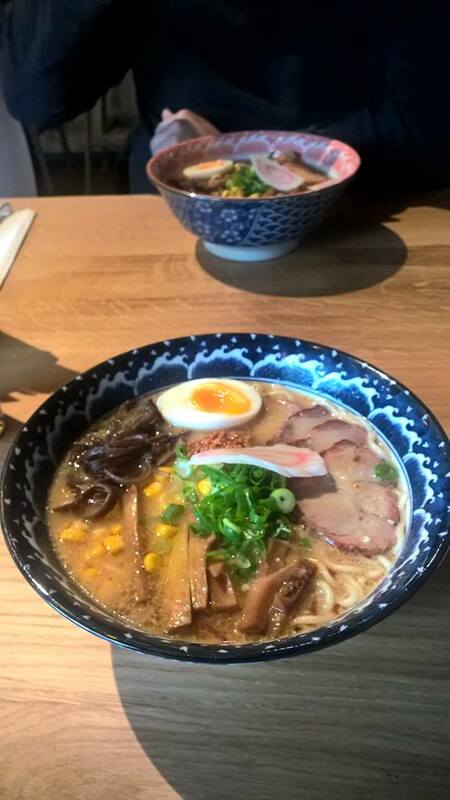 I loved the Ramen Noodles a lot, it was very simple in comparison with the other restaurants. However I did have the best piece of pork in it, the pork was so thin, soft and full of flavour. If you're ever in London would advice you to go and eat lunch at this restaurant. The first Ramen Noodles restaurant I went to isn't worth mentioning in comparison to the dishes above. It was delicious for a first time but not something I recommend if you want traditional Ramen Noodles. What's your favourite Ramen Noodles place?